SOLD Collins Oval made for Ritary for sale price reduced! I'm selling my Collins that was originally built for Ritary Gaguanetti. It was the very first constructed for his endorsement. As you might imagine, it is some of Michael's finest work, and made of highest quality woods. 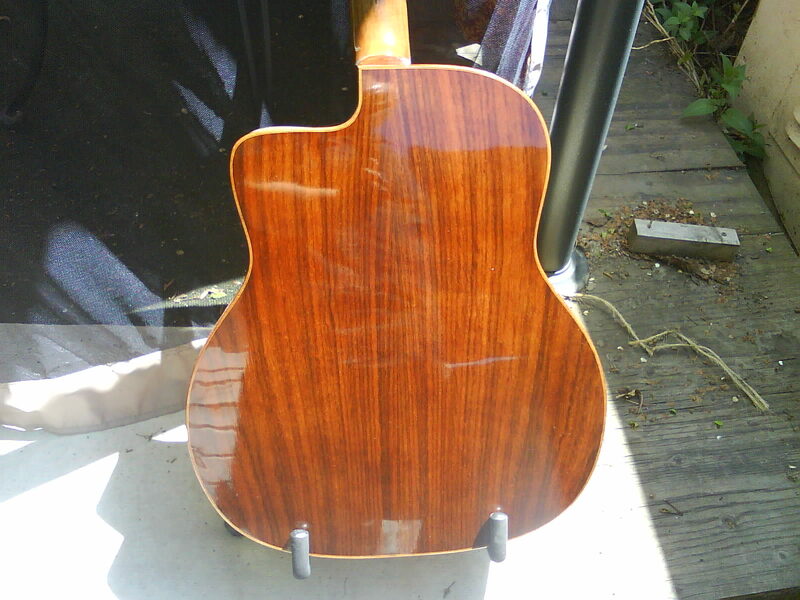 mohog/Rosewood back and sides, I'm guessing Engl Spruce top...you might check with Mike. Walnut neck profiled to a modern/Gibsonesque feeling "C" , Extremely playable!! Shows only slight wear where my forearm goes over the lower bout, and has just a couple of dings…war wounds from tons of gigs. Might I get a pic or two? I just bought Michael"s book and DVD's in hopes of building one but I'd like to actually own one as well. Also, might you consider lesser amount? The economy has bit me. 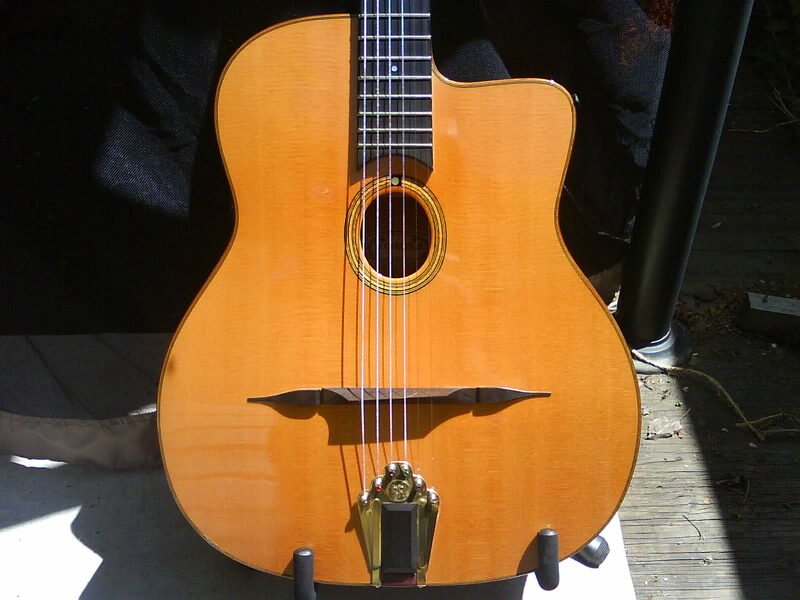 I am just starting out Manouche and would like to buy a guitar. 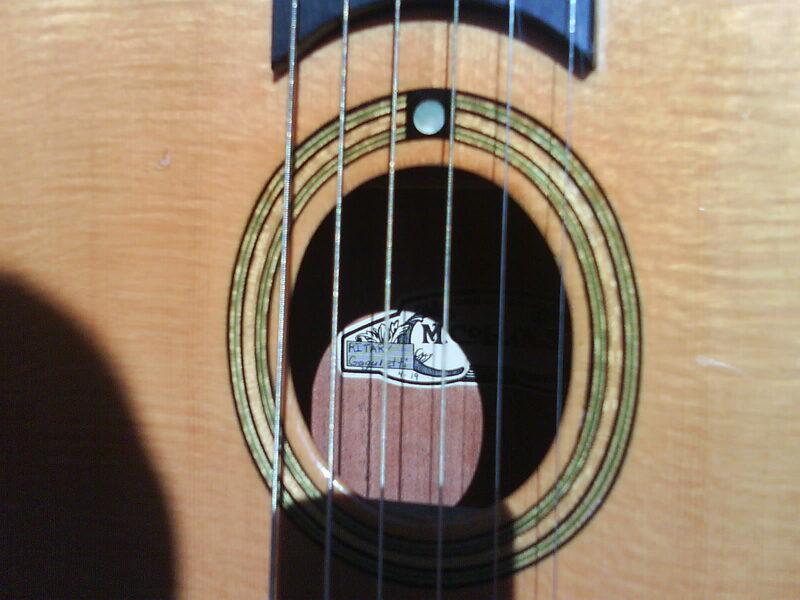 Currently I own an Ovation and it is more for country sounds. Have you sold your guitar? How is the action set? Are you takeing any offers? Do you still have the collins for sale?